She's Fantastic: Kre-O Transformers Machine Wars STRIKA! Kre-O Transformers Machine Wars STRIKA! Characters like Strika are a struggle for me. She is pretty much the antithesis of every physical trait that I would consider "feminine." On one side, I think this is great. Who says being female demands an hourglass figure? Who says a strong powerhouse character needs to be male? Who says the typical masculine traits can't belong to a female? Then on the flipside I'm thinking "Why does she need to be so 'unfeminine' to be taken seriously? ", etc etc. Then add that crazy debate to the fact that I am highly oversensitive to male action figures being reappropiated as females with no consideration to realistic body portrayals. Robot characters in particular always seem to struggle with gender display. 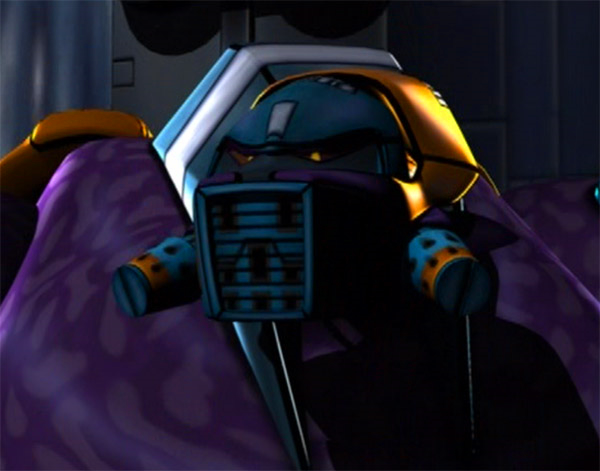 From her very first incarnation, Strika was a large, stocky, powerful character. 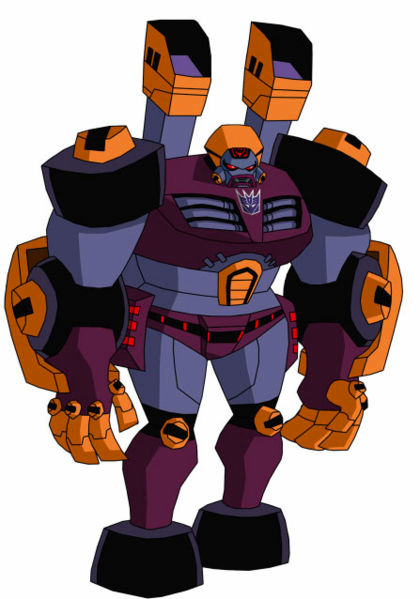 She is also a former Autobot who now sides with the bad guys (always a cool dynamic). She has had a handful of toys over the years (some of which are indeed repainted male figures), but this is the first one in line that that is so gender-neutral by default (i.e. this is the one figure of Strika that puts all my overthinking at ease). Let's check her out! The Botcon 2013 Exclusive set of Machine Wars characters came individually polybagged in nondescript plastic with a full-color insert. 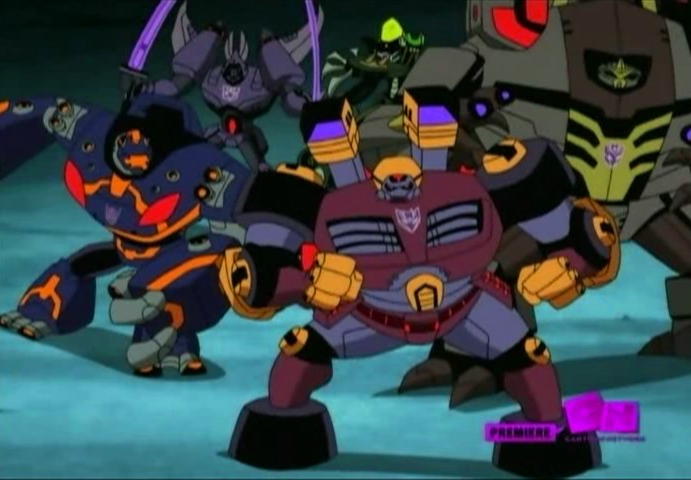 The other characters in the set were Hoist, Megaplex, Obsidian, and Skywarp. Her visor can be worn up or down. Here are some images of Strika from her various animated appearances. 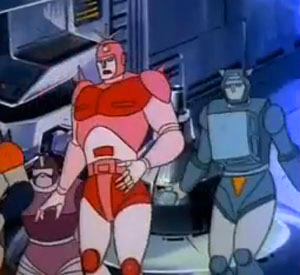 Interesting discovery: Apparently this pink G1 flashback character is Strika. 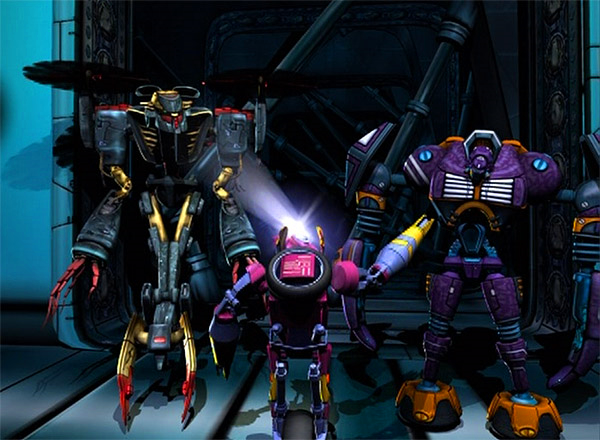 Here is Strika with the other evil Transformers ladies: Airachnid and Slipstrike.